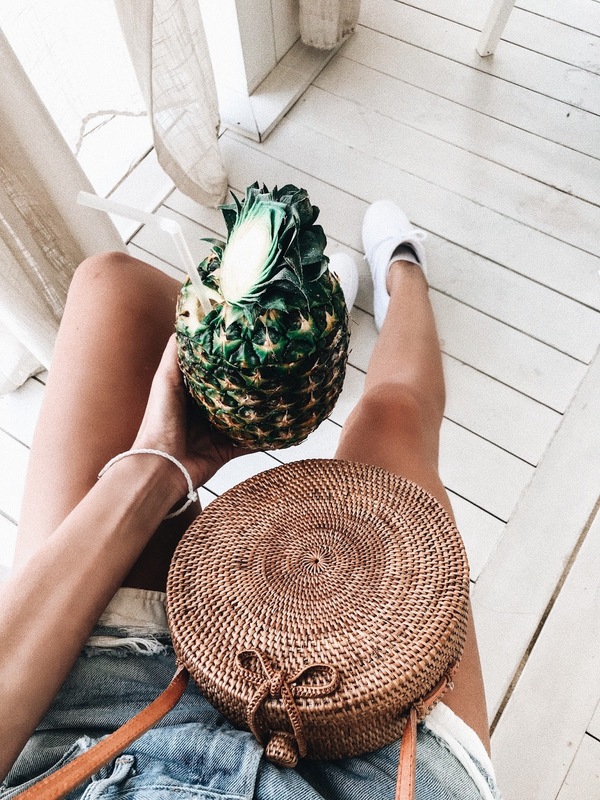 A blog and The Life In Between : 48 Hours In Dubai. & Why I can't wait to come back. Emirates has always been on my bucket list, however it just seems like we're never able to make it out there for a vacation and it always turns into a stop over in between different locations. A few years back we got to visit Abu Dhabi on our way to Seychelles, this time we had a flight to go to Mauritius and Zanzibar and Dubai happened to be one of our stops along the way -- thankfully we were able to turn it into a two day/one night stop and get to see it! Needless to say it's everything I thought it was & more. Uber drivers all have Lexus and wear suites. Crazy, right? I mean every time we got into an uber I felt like I got a black car -- fannncyyyyy for a budget friendly cost. It's the cleanest city I've ever visited. There's no homeless people as we were told they'd be deported if they were found and there is absolutely no garbage anywhere on the roads. More than 80% of population is foreign. No income tax & their housing is also pretty affordable compared to Los Angeles. P.s. I even saw a few billboards that you get a Tesla when you buy a home -- I mean how crazy is that?? Everything around you looks like out of the future, I couldn't believe how advanced the city is compared to other places I've been to. Makes me wonder why United States has not progressed with technology? When picking a place where to stay during our 48 hour visit in Dubai, Atlantis The Palm was a no brainer. 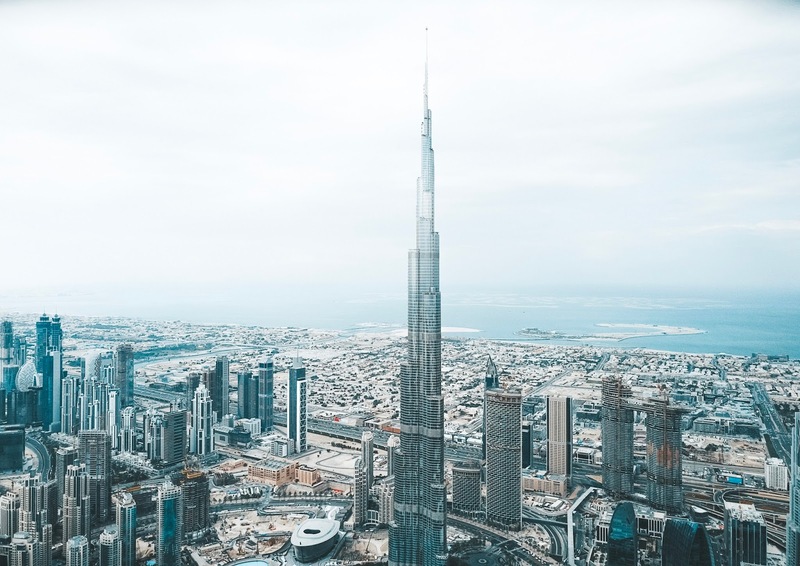 We didn't want to stay at a simple hotel located in the heart of Dubai, we wanted an experience and see as much as possible within the short amount of time we were there. 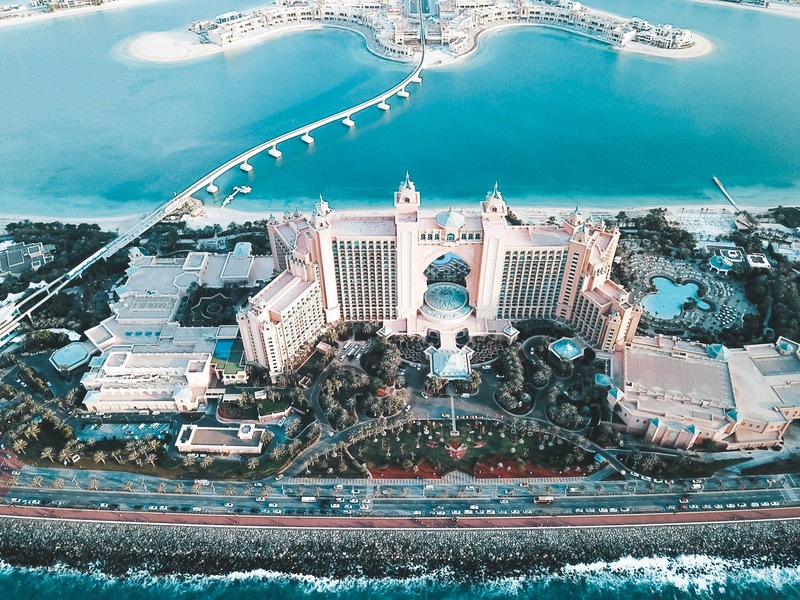 In brief, Atlantis The Palm is located about 20 mins away from all the touristy attractions, on the way there you get to see the "man made islands" (if you don't know much about it, I highly suggest looking it up as it's amazing what they've done and created!). 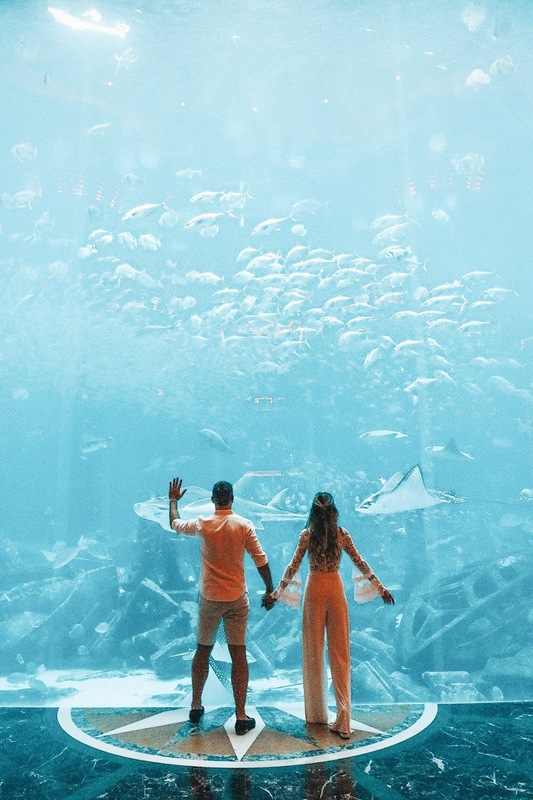 Just by staying at Atlantis we were already guaranteed to see some of the best things of Dubai - the man made islands, Atlantis waterpark that Dubai is known for and the under water aquarium (yes, the one you've been seeing all over IG). We also got to check out one of their restaurants during the stay called Bread Street Kitchen for dinner and roamed around other Restaurants and Bars they have around the hotel for drinks! Needless to say the Hotel had literally everything and anything you may need, not even once did we stop to think what to do. Hotel is located in the crescent of The Palm in Dubai. Has 17 hectares of waterscape which guarantees you'll have plenty of fun whether you're going with friends, loved one or a family! It's home to over 65K+ marine animals in lagoons and displays. The photo below shows some of their marine animals in the aquarium located just steps away from the lobby. They have an extremely fancy room that is under water and has an aquarium right in front of the bed. Unfortunately we didn't get to get a sneak peak of it as it was booked during our stay there. p.s. in case you're wondering the room is just under $30K a night! When we were not roaming around the grounds of Atlantis The palm we were out and about exploring Dubai. Some of the things we absolutely wanted to see were the mall of Dubai, the tallest building in the world and the dancing fountain of Dubai. As much hype as I've heard about the mall I was not too crazy about it, I was never the one to go shopping to the store as I'd much rather prefer shopping online and browsing through boutiques you can't find on the street. The mall was also known for their aquarium but there was no need for us to see it as we got to see it in our hotel at Atlantis The Palm without paying $30 per person. Needless to say the trip was way too short and we absolutely want to go back and make a vacation out of it. 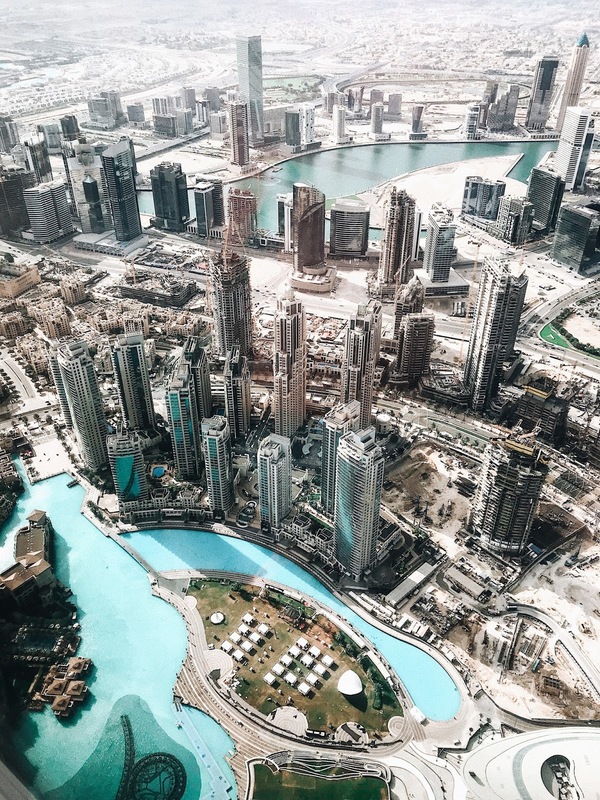 If you are planning a trip and have a stop in Dubai I highly suggest you stop there for at least 3 days as it offers a lot of fun activities, places to see! 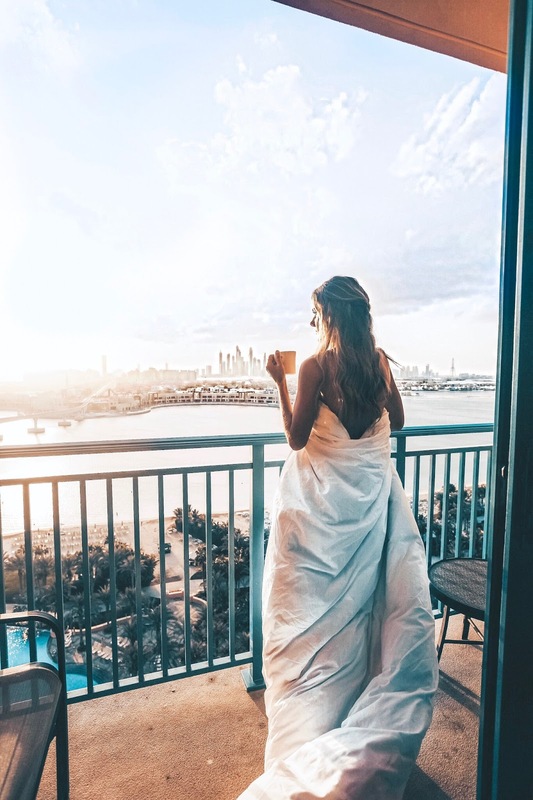 Thank you Atlantis The Palm for partnering with me on this post.